My Dirt Road Anthem: Three Things Thursday. 1. I'm crabby. Might as well just get it out there and admit it. My foot hurts and I am crabby. I haven't ran in 8 days and I am crabby. I hobbled around work like an old lady the last two days and I am crabby. I read some old blog posts where I was all "this was such a great run, I love running, running is my favorite" and since I can't run right now that makes me crabby. You get the idea. 2. Do I know what it going on with my foot....no. That makes me crabby too. I had an ortho sports med surgeon peek at it yesterday when we got done with our cases at work. We took an x-ray of it and could see no visible stress fracture (not that it always means a lot with a stress fracture) and he pretty definitively ruled out extensor tendinitis. He thinks it sounds like a stress fracture, but we couldn't find a definitive sore spot and squeezing my foot doesn't hurt either. To really be sure I would have to get a bone scan. It could be a nerve issue, or a strain or sprain. If it doesn't start feeling better with conservative treatment I am going to make an appointment with a foot person next week. The surgeon didn't think I would need to rest completely and should be able to bike. I am not so sure but am going to give it a go and see how it feels. I tried the elliptical and that didn't go over very well. I am so aggravated with not being able to do much. I guess at this point it doesn't make that much of a difference. I already know I won't be running the half marathon next weekend and might as well just write off the rest of the year and concentrate on getting healthy for next year. 3. In perspective it is a first world problem, my kids are healthy, other than my foot and a slightly stuffy nose, I am healthy. There is a roof over my head and food on the table. My family also got nominated for some ranching family legacy hall of fame thing here in Montana so that is pretty awesome too. We didn't have to deal with the blizzards that western South Dakota got last week devastating ranchers and their cow herds. This wasn't really one of my perkier posts, but it feels good to vent to people who get it. I guess I am not sucking it up very well am I. 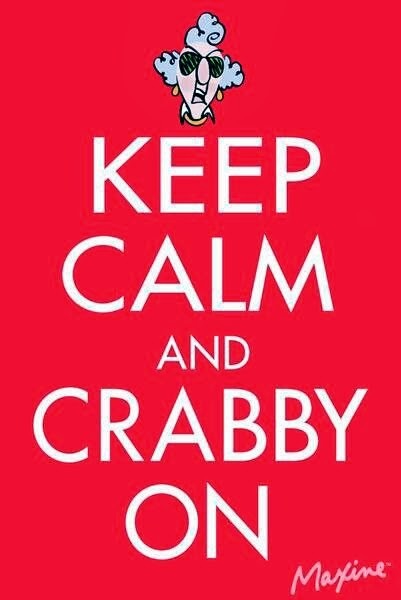 What made you crabby this week? Oh man sorry about your foot:( I hope you can get some answers that will push you towards healing. Cool about the ranching family award, so exciting! Selfish and incompetent people make me crabby:/ Almost ruined my great day yesterday. sorry to hear about the top of your foot. Hope it gets better soon. Congrats on being nomiated for the ranching family legacy. That is cool. I need that card!! 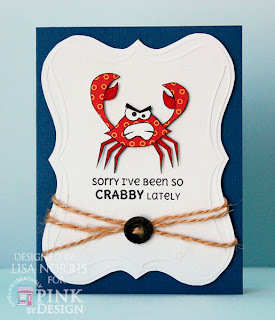 I'm sorry about your foot and I can understand why you are feeling so crabby! Vent away! I hope that the doctors will have a cure for you soon and you'll be on your way to recovery! Congrats on the ranching hall of fame! That's awesome! 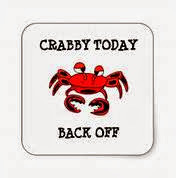 I'm pretty crabby today too-- employee quit at work, leaving me relatively high and dry. Not in in a good mood! But hey, at least I have a job, right?! 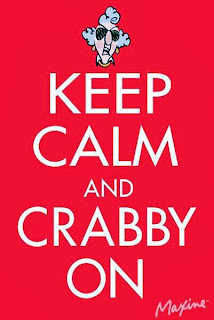 It's so cloudy and dreary here today, and that's making me crabby. :-( I just want the sun! Vent away, Christy. We are all here to listen. I ranted on my blog today too. I hope you figure out your foot thing soon. Hugs. My husband has a bum foot, too... and he's been really "fun" since he can't run without pain (especially since he kind of relaxed on his eating over the summer and now really wants to lose weight). Between his foot and me not working (thanks to the shutdown), we're celebrating just being able to smile together. It could always get worse, so I am thankful for everything going right! Cheer up. This too shall pass. Ugh, so sorry you've had a crabby week! They may be first world problems yet but still real and frustrating! What's making me crabby is teaching, specifically common core. I had a meeting Friday where I was told to scrap everything I'd worked hard on with my kids all year in reading and writing and we are now starting from scratch in one week. As Heather said, at least I have a job. I tell myself that every morning. I'd be crabby, too. I hope you can figure out what's going on soon!!! ugh! I am so sorry they cannot pinpoint the problem. That is so very frustrating! And, why does running have to be so injury prone? this is a question I ask myself all the time. Why can't I just run free!?? ?